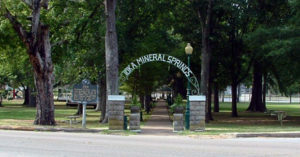 J. P. Coleman State Park is located approximately 10 miles north of Iuka off Mississippi Highway 25, on the banks of the Tennessee River and Pickwick Lake. The Park offers tent and RV camping, swimming, fishing, boat launch, marina, motel, convention center, 20 cabins, pool, picnic area, laundry. 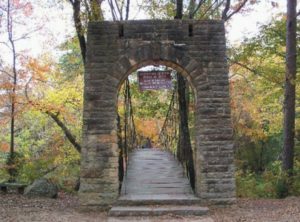 Tishomingo State Park is located at 105 Co Rd 90 in Tishomingo, MS. The Park offers hiking, swimming, tent and RV camping, cabins, float trip (April – October), museum/interpretive center, lodge, playground, boat launch, boat rentals, fishing, picnic area, laundry. Established in 1894 to preserve the first major battle of the Western theater of the civil war. 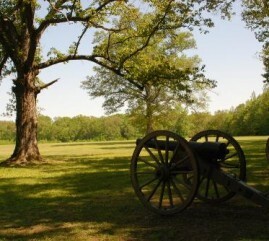 For more photos of the park please visit CivilWarAlbum.com.